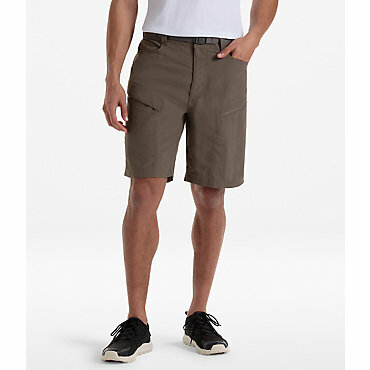 Hiking DNA, casually class stretch woven abrasion-resistant nylon with a touch of spandex and DWR finish, the Equinox Metro Shorts are built for the trail but can pull off a leather belt and a polo shirt at a barbecue the next day. . 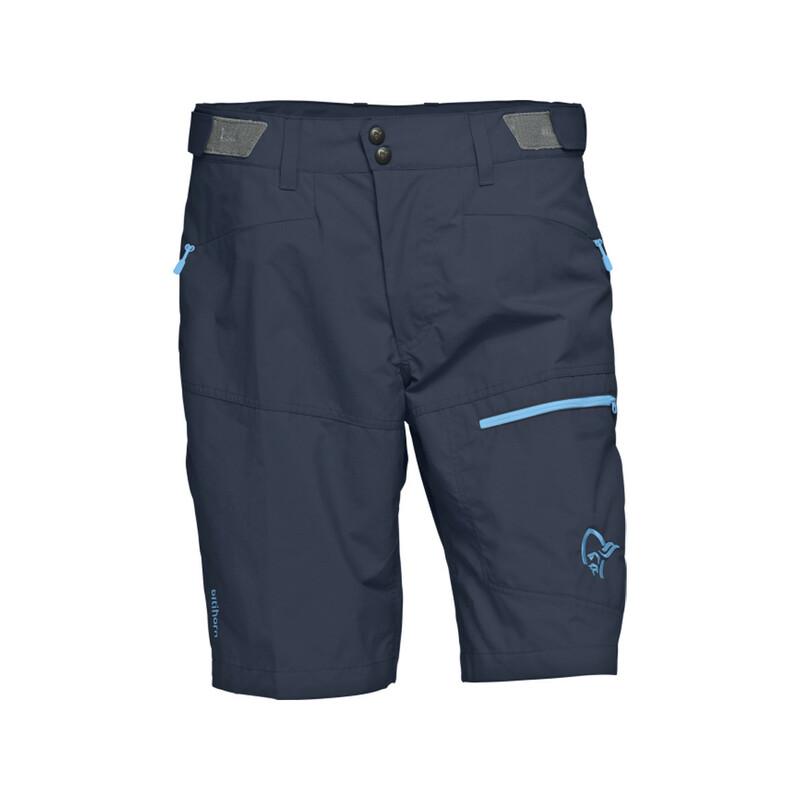 Built for the trail or town, the Outdoor Research Equinox Crosstown shorts are made of stretch-woven, abrasion-resistant nylon with a touch of spandex and a durable water repellent (DWR) finish. 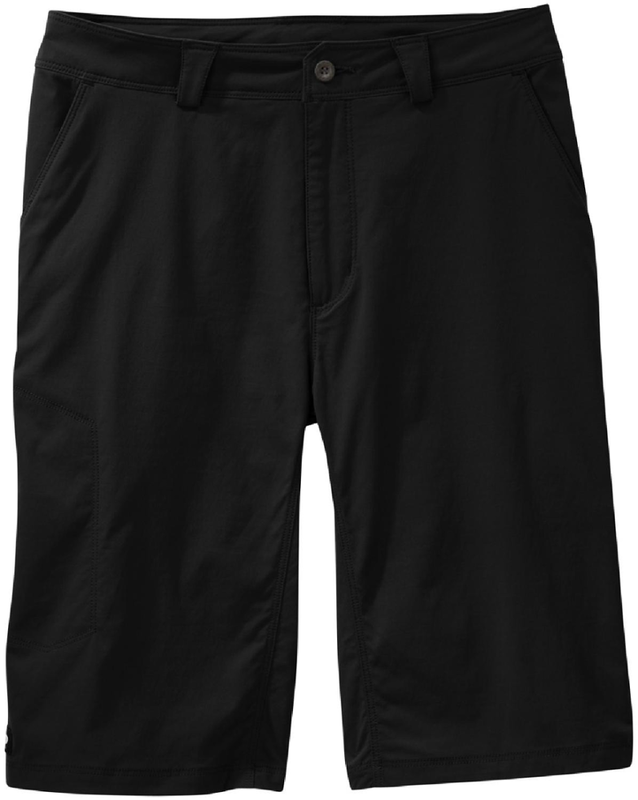 In the same way an equinox is equal parts day and night, the Outdoor Research Men's Equinox Crosstown Short is equal parts hike-able and lounge-able. 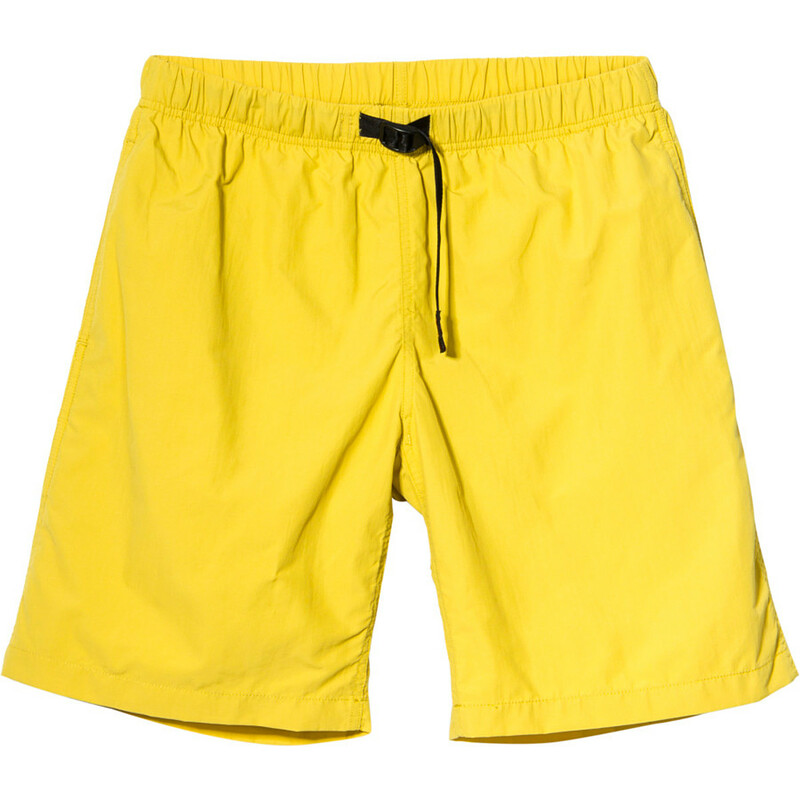 Its fabric is both casual comfy and strong enough to hold its own whether you're splashing across a shallow stream or scrambling up rocky scree fields. 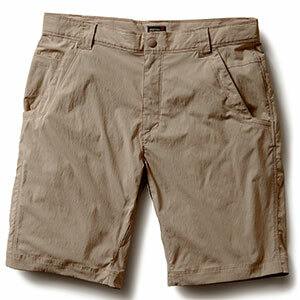 Outdoor Research gusseted the crotch to keep you moving up sidewalk steps and steep trails alike.